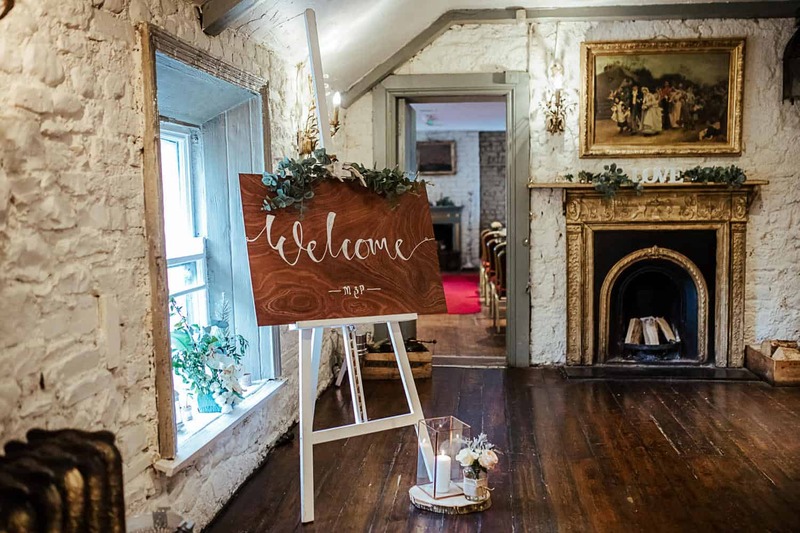 Weddings at Anglers Rest are absolutely unique. 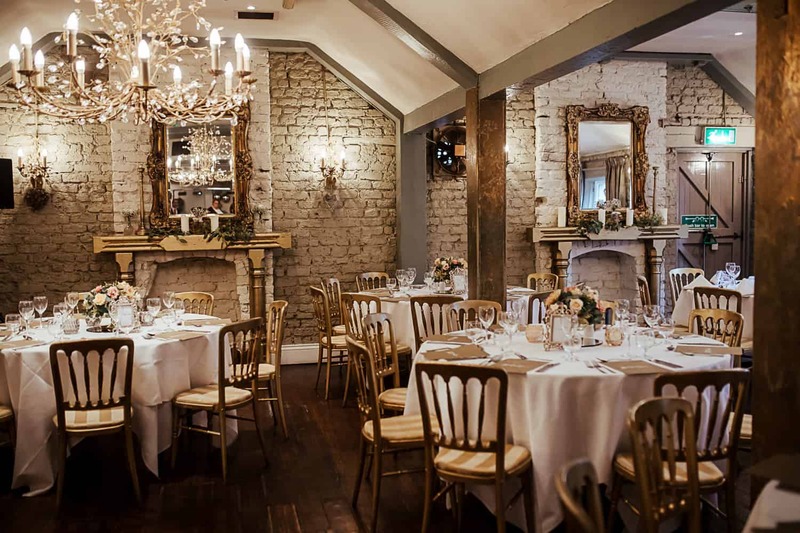 This charming Irish restaurant, nestled just beside Phoenix Park in Dublin, is a hidden gem. 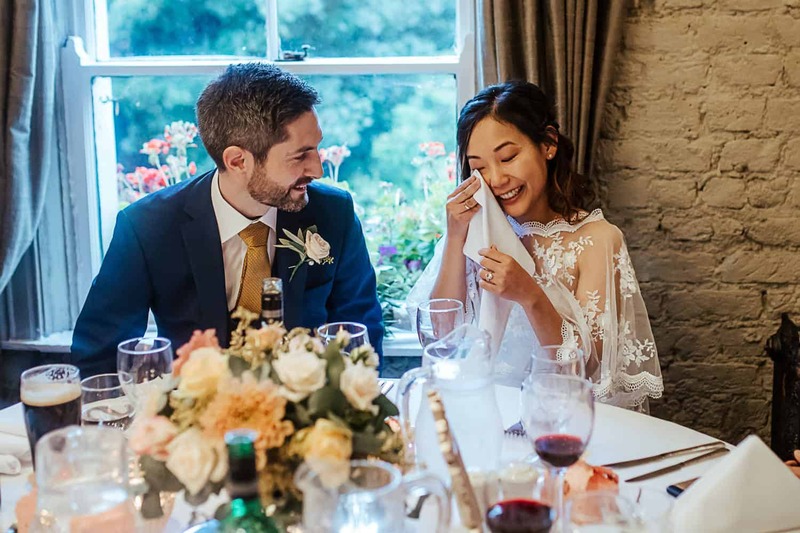 If you’re unwilling to travel far from Dublin but don’t fancy celebrating your big day in the hustle and bustle of the city, Anglers Rest is an obvious choice. With its picturesque location, a charming exterior and one of the cosiest rooms I have been to, this place is superb. It combines a convenient city location with a true country feel – the best of both worlds. A short 15 minute drive from the city centre, Angler’s Rest is located in Strawberry Beds, on the doorstep of Phoenix Park. They have a large car park down the road. It’s a bright yellow two storey-building. There’s a downstairs restaurant, upstairs venue space and a lovely courtyard where you can relax on a sunny day. 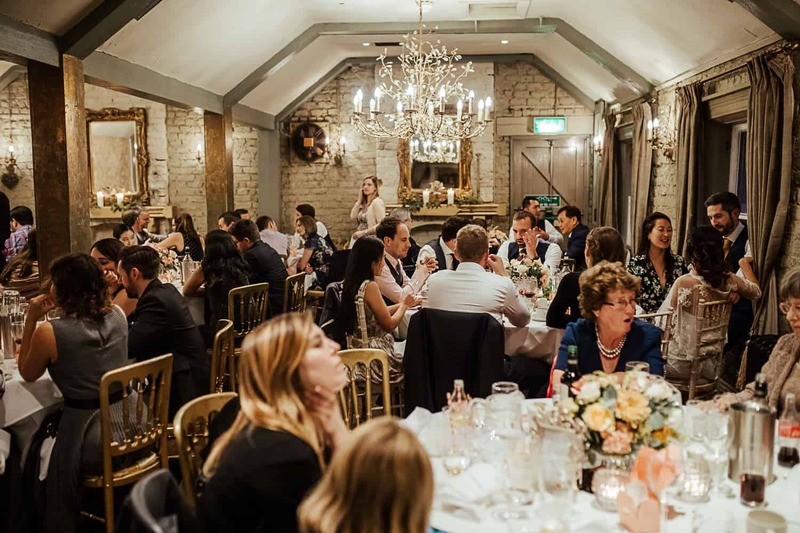 The upstairs space hosts ceremonies (in a separate room), drinks reception and dancing. 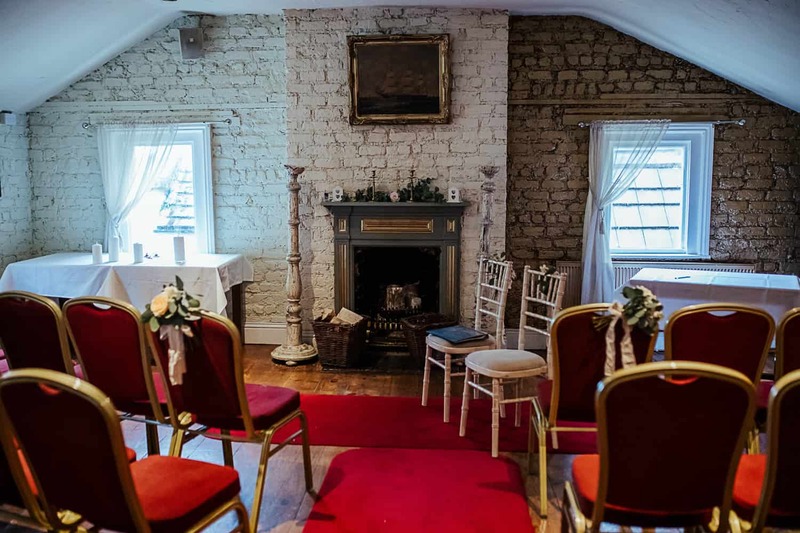 Its gem is Phoenix Room used for weddings at Anglers Rest. It’s a beautifully decorated space with gilded mirrors, exquisite chandeliers and matching brick walls. You can’t help being amazed as you walk in – it’s like being in a gold room! 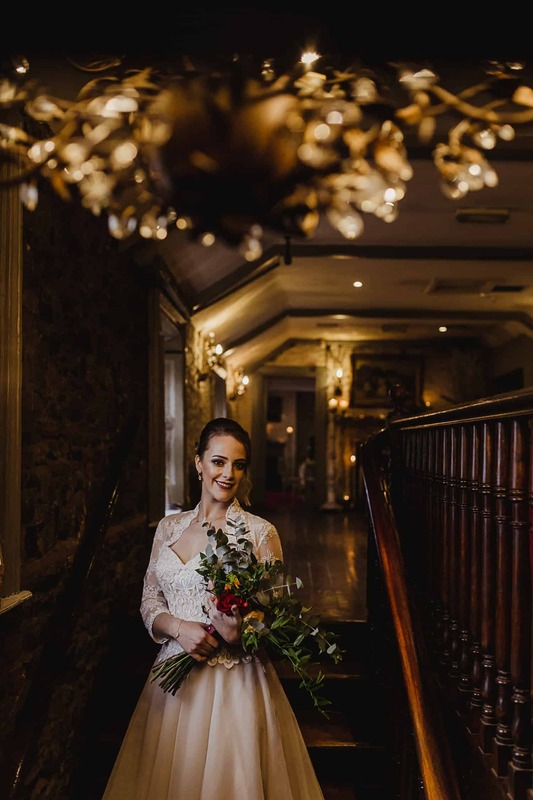 Whenever I photograph weddings at Anglers Rest, I always feel that the venue (and the whole atmosphere) is really warm. The open fires around the venue make the place cosy. With Irish weather you never know when you might need to light a fire! But the warmth doesn’t come only from the fires. 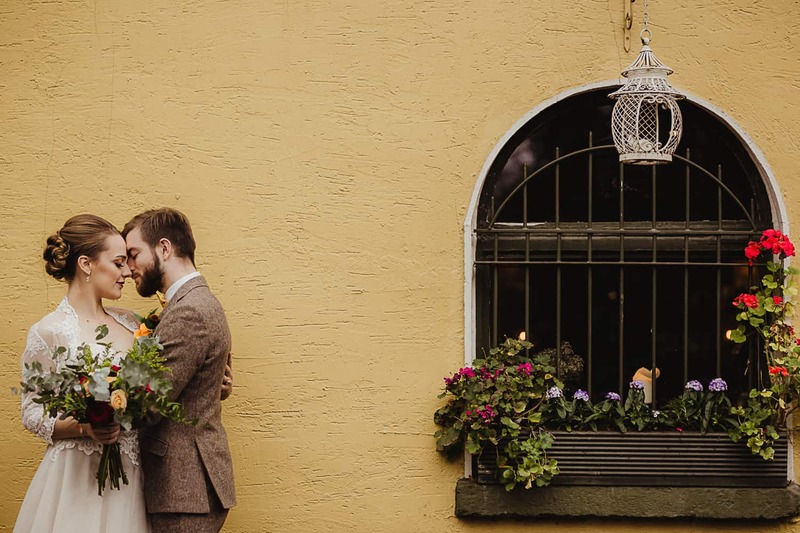 The intimate Phoenix Room is perfect for smaller weddings around 80 people. The warm tones of the décor and the sunlight reflecting off the golden features make you want to never leave Anglers Rest. Phoenix Park is a short drive away (less than 5 minutes), so you are spoilt for choice when it comes to photo locations. 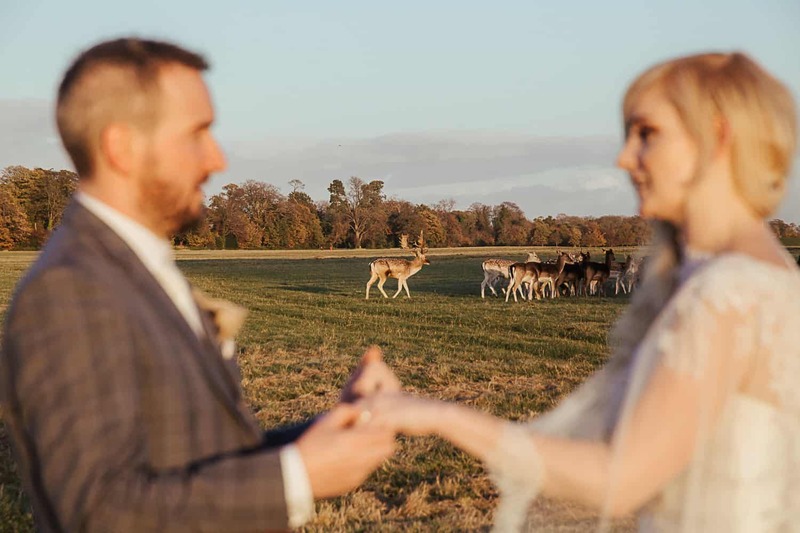 I love getting wedding photos with deer when I photograph weddings at Anglers Rest! On a clear day you can enjoy gorgeous sunsets. But if the weather isn’t in your favour or you don’t feel like leaving the venue, that’s no problem either. 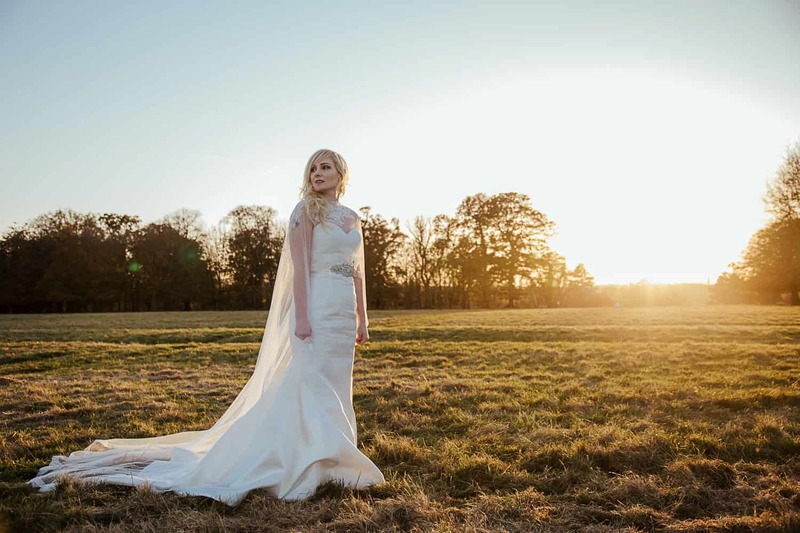 With beautiful backdrops and plenty of windows you can get romantic and elegant photos indoors.